BEST OF MFW SS16 | RAWR BOWS. 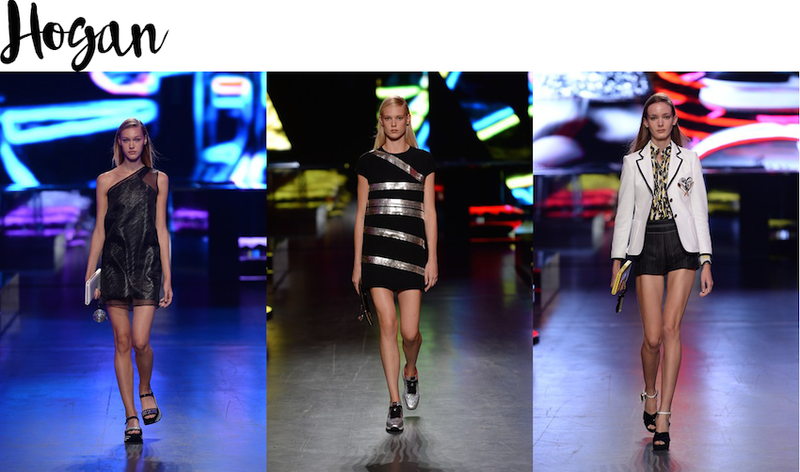 Three fashion weeks down, one to go! 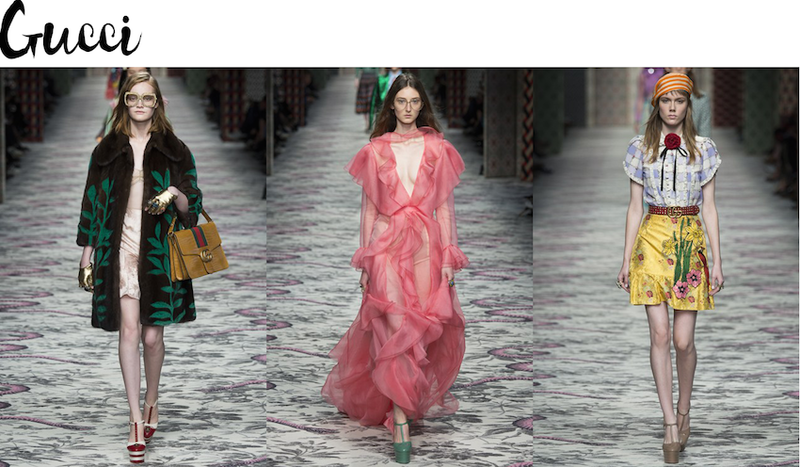 In case you haven't noticed, I wasn't able to do a post about the LFW since I was away on holiday, but I'm back now just in time to write about the Milan Fashion Week. Out of all the fashion weeks, Milan is usually my least favourite just because I'm not really into most of the designers who usually showcase their work. However, there still are some that stand out, like Versace or Gucci. Choosing my favourite designers for the MFW was not too hard, I immediately knew which ones I liked and which ones weren't of my taste. 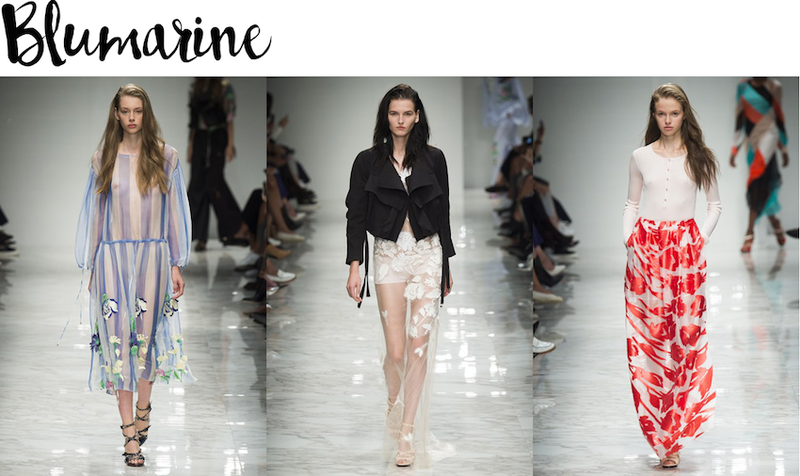 My favourite RTW collection was without a doubt Blumarine's, all of the outfits looked not only perfect for any stylish beach holiday but also really comfy, I like how flowy the designs are and the bright -but not TOO bright- patterns. Another of my favourite collections was Aquilano Rimondi's. I'm really into mesh and sheer at the moment, so this collection is what I wish my wardrobe looked like. 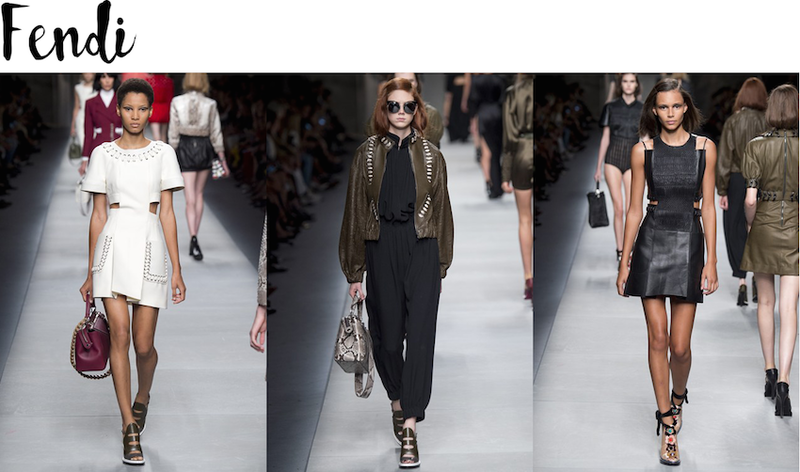 I chose my favourite designers from the MFW and put together my favourite outfits, so here they are!